THE SKINNY: This moisturizer is supposed to be a lightweight, non-greasy formula that adds moisture and a matte-finish to your skin. I found it to be icky and sticky. The sample was hard to apply and just felt gooey on my skin. It's not what I want in a moisturizer. So maybe I should stop trying products that multitask? KEEP OR TOSS: Toss. It just didn't feel good on my skin. 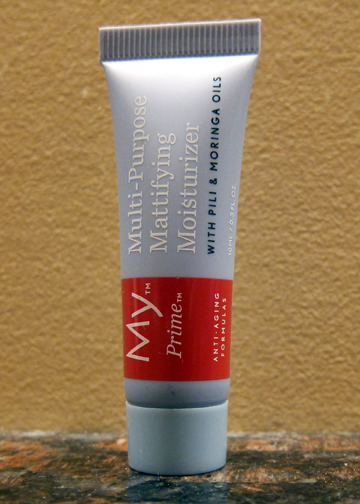 CHECK IT OUT: The company recommends using this mattifying moisturizer twice a day.